As Postal Center International and our family of brands continues to grow, so does our community footprint. Our efforts are focused on the environment as well as youth wellness and education. We are the #PCIOIpowerhouse and together, our corporate citizenship and community outreach efforts will benefit those less fortunate in the places where we work and live. Each year, school supply lists grow, and families in need struggle to find a way to ensure their children will be able to go to school with their necessary supplies. 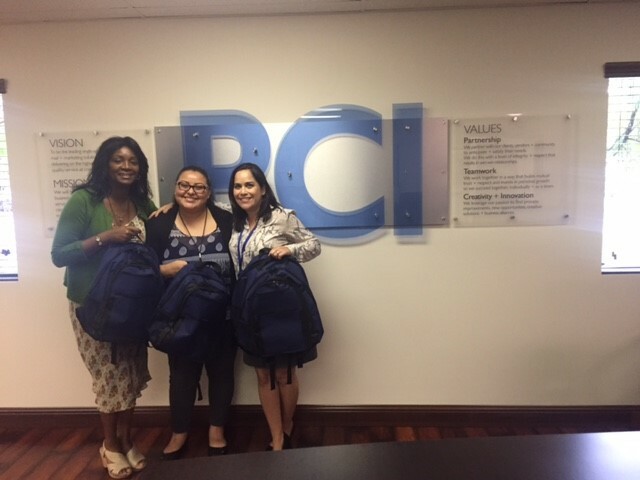 Our annual Backpack Drive, benefiting Second Chance Youth Outreach supported the inner-city youth of today with the resources they needed to get a kick-start on back to school. We provided the backpacks; our employees provided the supplies and the students provided miles and miles of smiles. Our weeks-long efforts delivered more than 190 backpacks that went toward helping the students of Second Chance Youth Outreach excel in the 2017-2018 school year. According to Executive Director Miguel Mendez, prior to our call of support, he did not have any funding in place for a backpack drive. He had no idea that one call would have afforded his organization so much – and that’s in large part due to all of our employees. By providing a brand-new backpack filled with school supplies, the kids showed up to school ready to start the new school year on the same level as their peers and excited to learn. And our team showed what a powerhouse of supplies can do to help make the grade. This past April, 35 associates, their friends and family, stood strong in the face of this disease that touches a few of our own. Together, we fundraised and walked in solidarity to face MS head on. And what a focus we had. We raised more than $2,500, which included a company match. 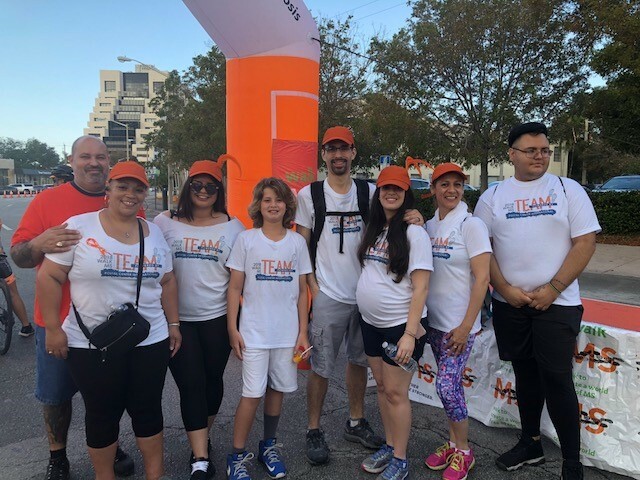 The team wore Powerhouse-branded shirts with everyone’s names printed on the back and complemented them with accents of orange – the color of the MS Walk, Orange caps, mustaches, sunglasses and feathers all in the brilliant hue helped make us stand out, and together, for this great cause!